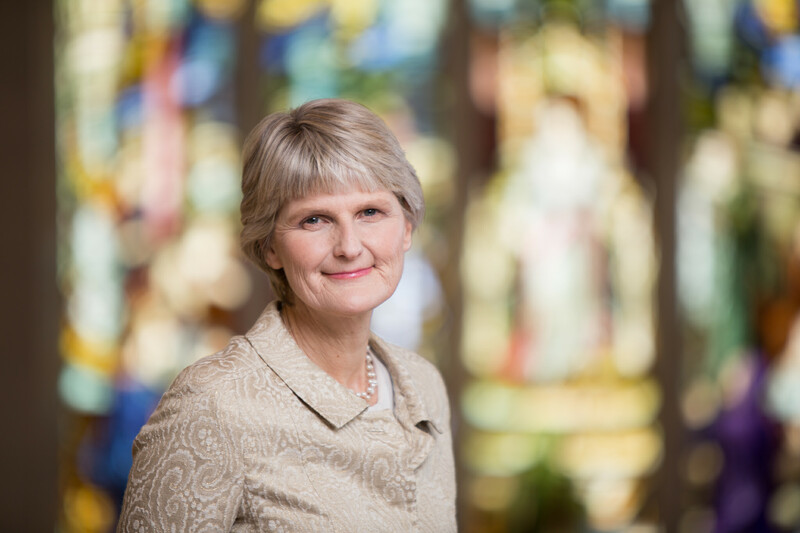 On Tuesday, Jan. 10, Vassar appointed Yale professor Elizabeth Bradley as the 11th President of the College. 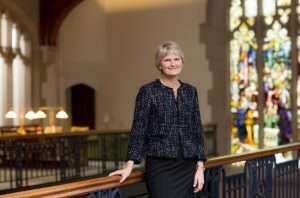 Her appointment concluded an eight-month nationwide search for a new College president after the departure of former President Catharine Bond Hill last August. Bradley was chosen out of over 200 candidates and unanimously elected by the Board of Trustees. Her husband, John Bradley, also a Yale professor, will move to Vassar as well, taking on the position of Executive Director of the Vassar College Urban Education Initiative. Bradley will take over from Interim President Jonathan Chenette on July 1. The Miscellany News recently spoke with Bradley about her experience directing Yale’s controversial Grand Strategy Program, the possible ramifications of Vassar’s $54 million loss in the 2016 fiscal year, her work concerning public health and what she hopes to achieve as the College’s next President. Miscellany News: Can you tell me a little about your current position at Yale? Elizabeth Bradley: Sure. I have a couple of different roles at Yale. I am the Brady-Johnson Professor of Grand Strategy, which is kind of a funny title, but it’s the person who directs the Yale program on Grand Strategy, which you can see on the web is an interdisciplinary program for undergraduates, primarily—though graduate students are in it as well—that’s basically like a world history course highlighting key moments in time where there have been really fascinating strategies that have emerged related to all kinds of problems. It could be problems of security or economics or even human rights or food supply, et cetera. So it teaches a fair amount about that and then also has people take on pretty practical, difficult problems to try to develop strategy around them. It’s an interesting program and I direct that. That’s one of my roles. I also direct our Global Health Leadership Institute, which is an interdisciplinary institute on campus to try to promote students’ and faculty’s work in the area of global health. And I’m the head of Branford College, which is a really fun part of my job, living right in campus with 500 undergraduates around me, which I love. So I’m pretty busy here. Misc. 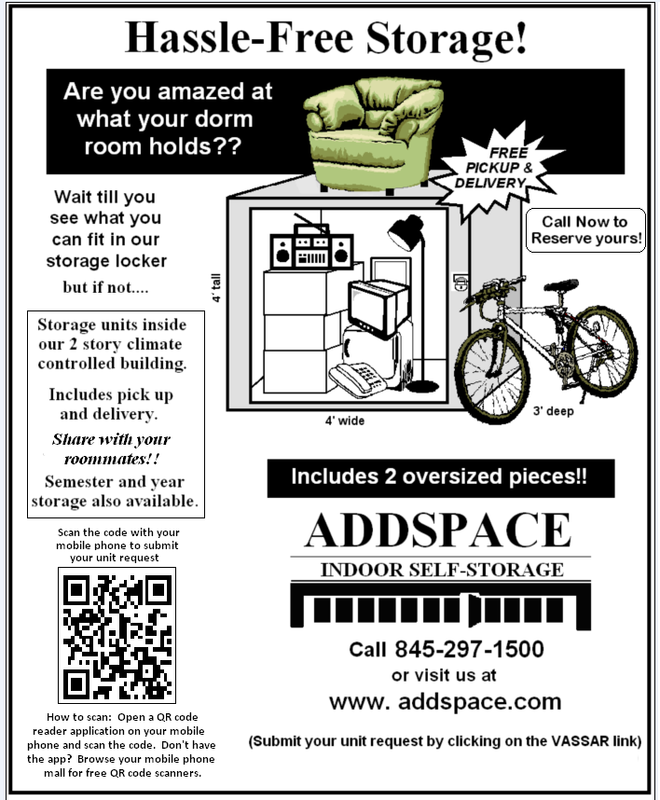 : What appealed to you about coming to Vassar? EB: Many things. I think, to begin with, I really enjoy the culture of the students—the fact that they’re willing to question everything, the fact that they just are not afraid to speak up and be active and make changes in the world that they think are important. That was really exciting to me. I really also enjoy the shared governance model of the faculty and the Board [of Trustees] and the President together. I think that strong faculty voice is essential in higher education and this is a college that really takes that seriously. I’m also attracted by the diversity and the aspirations to be an inclusive campus, which I think is so important. That’s fundamental to higher education, it’s fundamental to the United States, and even the globe—how we make communities like that—so I wanted to contribute to that effort. Misc. : How do you think your background in public health will inform how you will approach this job? EB: My background in public health has been very important to the way I understand leadership. One of the fundamental tenets of public health is that you meet people where they are and you work with communities. It tends to be very grassroots, bottom-up, not very heavily top-down, very inclusive. And I think it’s a flexible science in that it’s very multidisciplinary. So I guess the implication of that for someone in a leadership role is the recognition that, in that leadership role, you’re really trying to meet people where they are—understand where the community wants to lead, where do they want to go, what are their aspirations— and they hopefully play the concrete role that someone with a leadership responsibility can do to try to organize and coordinate and inspire a group to meet the goals they have for themselves. So that’s how I work and I think it’s been pretty much consistent with the way public health works. Misc. : What’s your vision for Vassar? What do you hope to achieve during your time here? EB: It’s a good question, I think it’s a little early in trying to respond to it. I guess broadly, my vision for Vassar would be to continue its tremendously high quality—top quality—education that can be accessible and is in an environment that is diverse and inclusive, and really be a national model of doing that. Now, that’s a very broad, broad statement, which I think is consistent with the mission of Vassar and the history of Vassar. I think it really should be led by the faculty, the students, the alumni, the staff, the main constituents. Misc. : What will your first priorities be as President? EB: My first priority is to listen—that’s a top priority—listen and get to know people. I’m so excited to get to know the faculty, get to know what they’re writing, understand their work, learn their names. The same with students, really having relationships with students where they can tell me what’s on their mind and I can share my thoughts on things. So my top priorities are to listen and learn. Misc. : When Vassar announced your appointment, the school stated that in addition to serving as President, you’ll also be a Professor of Political Science and Science, Technology and Society. Are there any courses in particular you would like to teach? EB: I think in the first year I will not be teaching, because I’d like to spend the majority of the time getting to know the community. But in time, I really would like to teach. I’ve taught all kinds of courses that I would be happy to teach again. I think it’s important to understand how that might fit into the curriculum that already exists and what’s really needed. But I have taught courses in leadership and strategy, I’ve taught courses in grand strategy, research methods, even, so I have a pretty broad background. But I think the seminar style that Vassar supports so regularly is really exciting. I think that I’ve enjoyed most the seminars I’ve taught. Misc. : Many have felt over the past years that Vassar is starting to turn its attention from the humanities towards the sciences. Going forward, how do you plan to balance maintaining the school’s reputation in the humanities and the arts while expanding our offerings in the sciences? EB: The liberal arts education must have strengths in the humanities as well as in the sciences and the social sciences. There’s no choice to that; if you want to be a top higher education college in the U.S.—or globally—you have to be strong in the humanities. There’s no question of that. Just like before, I don’t have a specific of exactly how we’re going to do it, but the value of [the humanities] I absolutely take seriously. I think that it’s fundamental. The course, or the program, that I direct here in Grand Strategy actually does take a humanist look at literature and history, but that is then, in the second semester, applied to real-world problems. I’ve found that to be a really exciting approach, where you’re able to show exactly how being informed by the humanities and thinking creatively suddenly gives rise to new ways to think about old problems we have around the globe. So I’m very inspired to be sure the humanities stay strong and are there. And it’s so wonderful that this Bridge [for Laboratory Sciences] is put together to reinvest in the sciences. Misc. : I’d like to turn our attention to some budgetary concerns. In the 2016 fiscal year, the Vassar endowment lost over $54 million. How might you alter the budget to avoid such losses in the future? EB: Critical to understanding the budget and making budget decisions is the shared governance model that we have at Vassar. So this is never one person’s decision, this is a community decision about how one uses scarce resources to achieve the large aspirations that we have. So I think fundamental to that is really understanding—understanding what’s short-term, what’s long-term, thinking creatively about all the different options and being transparent about how different trade-offs are made. And that, I think, is the way a community can lead itself to really make the best use of the resources it has. That’s the kind of process that I’d like to contribute to as president. The specific decisions, I wouldn’t really be well enough versed in the background yet to know what those will be over time and how we’ll approach them. But I do think the shared governance model is front and center in being able to make good decisions for the community. Misc. : Many fear that this loss might push the Board of Trustees to try to implement need-aware admissions, which could result in the acceptance of more applicants who can pay the full price of attendance but who may not be as academically qualified as the students who are admitted under the current need-blind policy, making Vassar less accessible for students of all socioeconomic statuses and decreasing our prestige as an institution. As President, would you consider making the move to need-aware admissions? EB: That’s also a very good question, and as you know, the commitment from Vassar is very generous in terms of its financial support for people who couldn’t otherwise pay for Vassar. And that’s in the root of Vassar’s culture and I think it’s a great attraction. I think, at the same time, there always is debate about how to implement that exactly. I have not been part of the conversations to date, but I know that they are on the table; these are conversations that have to be discussed as a community, using the committees that exist that involve students and faculty, et cetera. And this is not an easy one, so I don’t really have an answer to your question. I know this is something that every college is really having to wrestle with. It’s the same question as before: How do they use their relatively scarce resources to achieve everything they want to achieve, and achieve that for people who can’t always pay for the college? Misc. : During President Hill’s time at Vassar, the College created several new administrative positions. Some members of the Vassar community feel that the funds earmarked for these salaries could be better utilized elsewhere. What is your feeling on the matter? EB: I don’t really have the background to be able to comment on that. I’m sorry. I think it is very important that one looks at the staffing patterns and is clear about what everybody’s job is and that it’s as productive and effective and efficient as possible. But the specifics of jobs that were created and how much the cost and all of that, it’s not something that I really have the background on yet, and that I’m really not in the position to weigh in on at this point. Misc. : I’d like to back up for a moment to your experience as Director of the Brady-Johnson Program in Grand Strategy. Grand Strategy programs at elite universities have been criticized for promoting conservative ideals of U.S. exceptionalism and imperialism in foreign policy. How would you respond to such critiques, particularly coming to an extremely liberal institution like Vassar? EB: It’s a really great question. Grand Strategy programs throughout the country have often voiced a more conservative perspective in looking at U.S. foreign policy. And actually, my role in starting to direct the program had a lot to do with trying to open it up and trying to anticipate that, actually, developing Grand Strategy could be done from a global perspective, not just a U.S. perspective; that the problems one would tackle would not just be security, but also the environment, and health and human rights; that these strategies you use might not just be military, but they might also be scientific, or cultural or grassroots. And, in fact, in this last year, we read Saul Alinsky’s Rules for Radicals and we studied Aung San Suu Kyi and we studied Gandhi. So I think that the framework of Grand Strategy is a very large framework and it can be taught from different perspectives. The way we’ve taught it [at Yale] since I’ve directed it is very multidisciplinary, very open to all sides of the political spectrum—from the most conservative to the most liberal. And that, I think, frankly, has been the most fun; to actually have students have to wrap their brains around, “Jeepers, how does the other side of the argument make their argument here?” and try to really understand fully and get into a serious debate. And I think that concept, of trying to look at something from all sides, is very consistent with Vassar and consistent with liberal arts, consistent with, “Gee, how are we going to think about the world?” But I agree with you; it hasn’t always been that way, and I’ve enjoyed trying to broaden its perspective and hopefully have been successful at that. Misc. : What are you most looking forward to at Vassar? EB: I can’t wait to get to know the students. You know, I had one [Vassar student] stop by my house this weekend who was at the Hackathon at Yale. [They were] really the first student I’d met, other than the two who are on the search committee, and I had so much fun hearing about Vassar from their perspective. I think this time in life of young adulthood, it’s such an exciting time to be present with people during that, so I’m really looking forward to that. I’m also looking forward to reading new things and knowing what the faculty are studying. I started already reading some of their books and reading some of their articles, and they’re just an amazing faculty. To come to a new place where you have all these gems creating new output is thrilling. I am looking forward to the Board [of Trustees]; I haven’t worked directly with a board. It’s just so creative, there’s some amazing people on the Board and the senior staff. So I guess it’s all getting to know a new community and people I’m really looking forward to. Misc. : Is there anything else you would like our readers to know? EB: I would like them to know that I’m really honored to have been given this role and I’m really looking forward to being part of the community and I’ll see people in July.